The B-FV4 is small enough to fit into the tightest area of space with the flexibility to integrate into any environment. Combined with Toshiba’s world renowned reliability, this printer will be a rugged and robust workhorse for years to come. Faster and more powerful than the Toshiba B-EV4 series, first label print is 13% faster and batch printing is 8% faster. 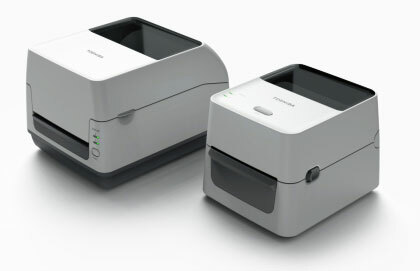 Toshiba Tec focused on the user’s perspective for ease of use when designing the features of the printer. Toshiba Tec is also concerned about environmental issues, and reflects this in its products. Both B-FV4D and B-FV4T printers are developed with low energy consumption, and have Energy Star qualification. In addition, a version of the new B-FV4D model functions with linerless label material which helps to reduce waste by eliminating the need for the backing liner. Toshiba B-FV4 series is intended for use in Retail, Logistics, Industrial, Courier, Healthcare, and Commercial services. Based on the understanding of customer’s unique demands in various industries, the Toshiba B-FV4 series can offer solutions designed to improve efficiency over a wide range of labels. B-FV4 series is small enough, stylish and sleek printer which can fit into any environment such as front counter at reception, ticket window. Furthermore, its rugged and powerful features allow withstanding heavy use for consecutive prints such as shipping labels in Logistics and Courier industries. The addition of the B-FV4 series enhances Toshiba’s whole barcode printer range, and Toshiba will continue to enhance its products and solutions enable user’s businesses to operate more efficiently.